The Jalon valley in Aragon, Spain, is known for its cherry orchards. 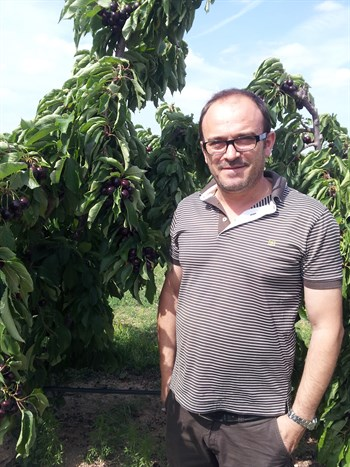 The good soil and climate conditions in that region, together with professional work done by the local growers, result high quality cherry production. Farmers know that the cherry has to be developed in a few weeks, and need a fast, efficient, pure and high in potassium fertilizer. This is important in order to have a sustained and balanced growth for the crop, and get the best hardness and color of the cherry.